Pulaski County is located in the U.S. state of Arkansas. Its county seat is Little Rock. 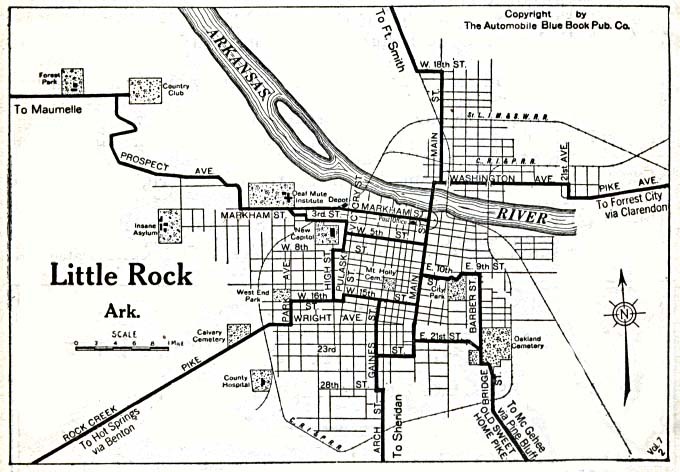 The county was created on 1818 and originated from Arkansas and Lawrence Counties (1818). The name of the county comes from Kazimierz Pulaski, the Polish general in the American Revolutionary War. The links directory provides suggestions for a variety of websites to assist in your family history and genealogy research. World War I: Pulaski County World War I Soldiers-Arkansas Research, Inc. Biography of William Terry "Bill" Valentine Jr. Biography of Ira Wilmer "Will" Counts, Jr. Biography of J. B. Trotter, M.D. Biography of J. G. Scarborough, M.D. Biography of James H. Lenow, M.D. Biography of Julian Talbot Bailey, A.M. Biography of L. R. Stark, M.D. Biography of Augustus L. Breysacher, M.D. Biography of Brooks Calbert Robinson Jr. Biography of Max A. Orlopp, Jr. Biography of C. E. Nash, M.D. Biography of C. Jennings, M.D. Biography of P. H. Treadway, M.D. Biography of Claibourne Watkins, M.D. Biography of R. M. Enders, M.D. Biography of R. W. Lindsey, M.D. Biography of Rev. S. H. Buchanan, D.D. Biography of Richard Colburn Butler, Sr. Biography of F. L. French, M.D. Biography of Fred Kramer Darragh, Jr. Biography of William Farrell, Sr.